We are in an infinite world, but all kinds of freedom, mutation, and expansion happen in finite situation. In this project “Cygnus”, Xiao Ming and Xiao Hong try to break the border of finiteness with a graceful single-line kind act. This will be a delicate, peaceful, but bravely movement by artists. Last year, the two artists started worked together as a team named “Xiao Ming and Xiao Hong” for the very first time and made their first project in Am Art Space. This is our great honor to organize their new project as the first art event in the year of snake. 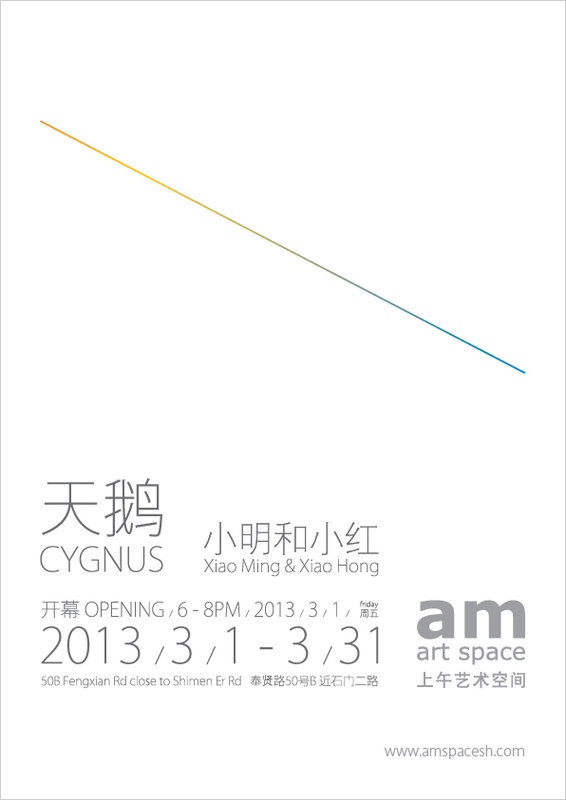 In the period of exhibition, artist Xiao Ming & Xiao Hong will do the performance for 3 times. During these days, they will control strictly on their diet.